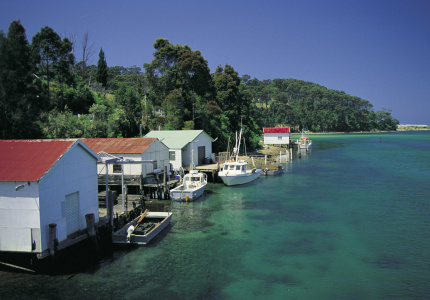 Inner-city sophistication and coastal recuperation were big themes in this banner year for the local accommodation scene. Here are our favourite newcomers. The trend of opening hotels that don’t feel like hotels continued in 2018, with most of our city stays designed to transport you from the urban streets into calm, beautiful surrounds peppered with linen, brass and the odd Japanese soaking tub. One in Sydney became the first hotel bookable on the global accommodation platform Airbnb, and The Calile in Brisbane was easily the best hotel the city has seen in years. And if you want to laze beside a pool? There are plenty to retreat to. The one in Byron is adults-only and has a swim-up bar. Brilliant. There was a stack of Brisbane openings this year, but The Calile – which cost $100 million to develop – immediately stood out. The 175-room property revels in its sub-tropical Brissie location: hallways feature breeze blocks, open-air nooks and fans; every room has a balcony of some sort; and the vast majority of the accommodation overlooks a 30-metre pool lined by palm trees and plush cabanas. Interiors mix easy-breezy materials such as timber, cork and pink, blue and green marble, and there’s a welcome touch of quirkiness (see the curved shower walls). Guests have access to Kailo Wellness Medispa, gym and fitness facilities and a ground-level retail precinct, while the food and drink options include the Lobby Bar and a second edition of Simon Gloftis’s restaurant Hellenika. This 12-suite property, overlooking the Royal Botanic Gardens in South Yarra, was arguably the most upscale hotel opening in Australia this year (check out the tonne of marble in each bathroom) – yet the place still feels homely. United Places has nine one-bedroom suites and three two-bedroom suites, the latter featuring obsidian bathtubs with views of the city. All 12 suites have kitchens and recessed terraces and feature handscraped oak floors, custom side tables made in nearby Richmond, and Grant Featherston armchairs. Scott Pickett’s fun, fire-focused restaurant Matilda occupies the ground floor, with Pickett himself curating a complimentary in-room breakfast for all guests. The seemingly unstoppable QT brand headed westwards in 2018, kicking off what looks like Perth’s biggest-ever hotel boom (12 more properties are either launching or relaunching in the next two years, bringing more than 2700 new rooms to the city). The new QT is every bit as bold as its boutique siblings, thanks in part to extroverted design by Sydney’s Nic Graham, who also helmed eight of the nine other QTs in Australia and New Zealand. 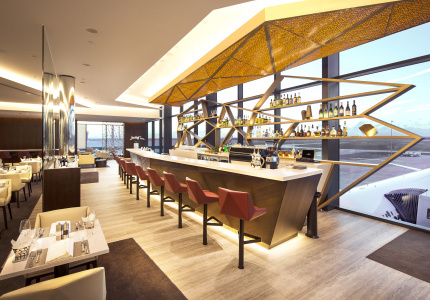 At street level, it’s all about coal-cooked and woodfired meats at the Santini Grill, while upstairs (18 storeys up, in fact) you’ll find Perth’s highest rooftop bar. The guestrooms are moody stunners, decked out in black stone, purple velvet and polished brass. Four years in the making, this stylish 29-room wonder opened in April in a fast-evolving corner of Surry Hills, which is an easy walk from the Sydney CBD. The result of a painstaking conversion of two buildings – the former offices of Paramount Picture Studios and its film-storage warehouse – Paramount House Hotel mixes heritage details, contemporary updates and a modern palette of concrete, terrazzo and timber to ravishing effect. In the guestrooms, you’ll find Japanese soaking tubs and Aesop amenities, while downstairs there’s what could be Australia’s best hotel bar, the drink-and-dine venue Poly, from the crew behind Sydney’s best restaurant Ester. 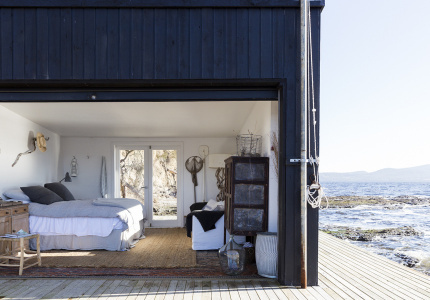 When it opened mid-year, this 35-room offering became the first hotel bookable on the global accommodation platform Airbnb (you can reserve the entire property for $15,000 a night if you’d like to stretch out). Slick interior design – think dark-coloured timber, marble surfaces, textural furnishings and brass fittings – and a village-y Surry Hills location make it feel as though you’re staying at the inner-city home of a sophisticated friend. Little Albion also eschews the in-house room service in favour of an Uber Eats account curated by the staff to reflect the area’s best offerings. When your food package arrives, it’s transferred to a wooden tray with gold-coloured cutlery, salt, pepper and napkins, and delivered to your room. 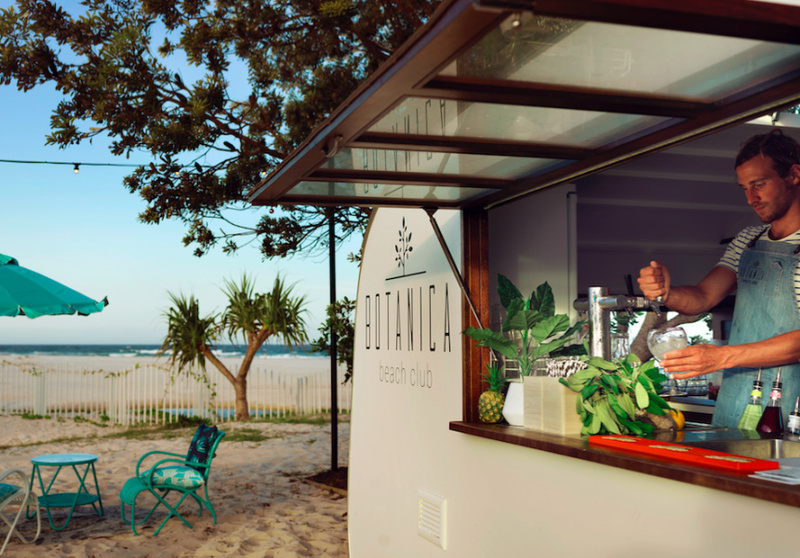 While swim-up bars might be common in the Pacific and Asia, they aren’t really a thing in Australia, or at least not in many recently opened hotels. It’s a shame because sipping on a salt-rimmed Margarita you’ve just ordered from within a pool is something Broadsheet thinks should happen more often. 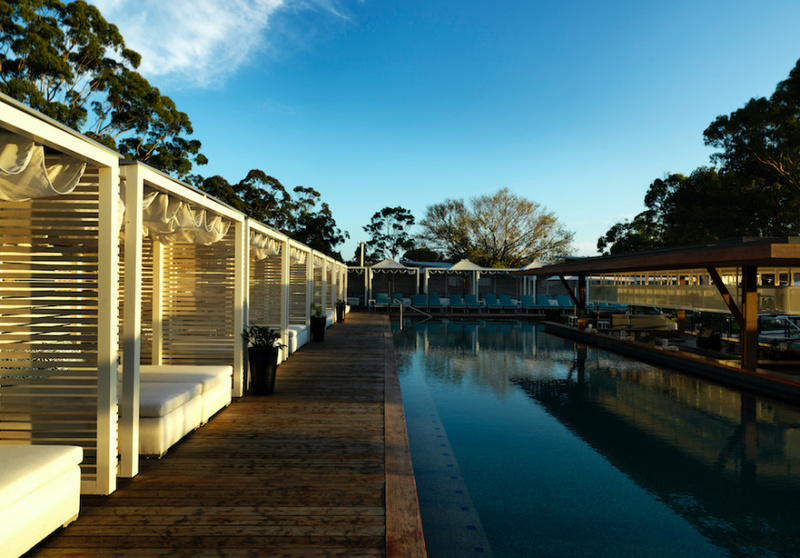 It’s a major draw of the second stage of the expansive Elements of Byron resort in Byron Bay, which opened in January. It included 99 new villas, an adults-only pool with swim-up bar and a cocktail caravan on the beach. Seventy of those were two-bedroom villas with the space and fit-out of small beach houses – 110 square metres of inside space, two bathrooms, a full kitchen, laundry and screened-in deck with views over the rainforest or grasslands. 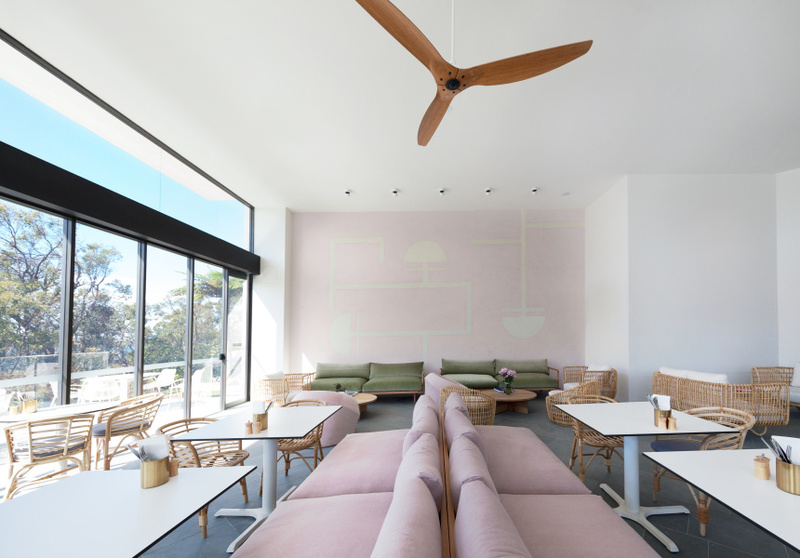 A previously unsung corner of the Bellarine Peninsula near Geelong became a word-of-mouth sensation in 2018 when the Gemes family opened Lon Retreat on a 200-acre coastal farm that’s been held in the same family for seven generations. Lon comprises a sprawling sandstone homestead that houses seven beautiful and spacious guestrooms, a mineral pool and day spa. Outdoors, there’s private access to the wild and woolly Point Lonsdale beach and a farm track that’ll take you past sand dunes and paddocks until you reach Lake Victoria. After a day’s exploring, repair to your room for a long soak in a bathtub filled with warm, nourishing water from the spring that runs underneath the homestead. 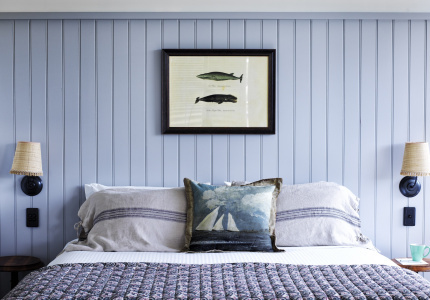 Beloved British chef Rick Stein helped turn Mollymook on the NSW South Coast into one of the state’s most sophisticated weekend destinations when he opened his Bannisters hotel and seafood restaurant (and, subsequently, a second hotel) there. In 2018, he decided to expand further, unveiling a sibling venture in laidback Port Stephens, north of Newcastle. With its sparkling white walls, freshly planted bougainvillea and palm trees, the once ageing Salamander Shores motel never looked so good. It’s double the size of the original Bannisters but has that same “barefoot luxury” vibe: at the pool, staff deliver trays of icy cocktails and snacks such as prawn tacos, steamed bao buns and grilled fish to guests lying beneath grey-and-white striped umbrellas.